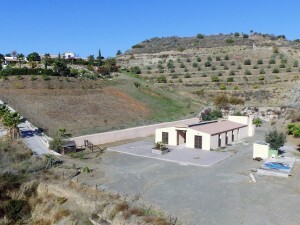 This is a really great country house with a good plot of land of just under 4000sqm. Its been reformed by the current owner and there are still a few things to do, but mainly cosmetic. he is still doing work on the house so things change daily! The land is mainly flat so just ideal to create a garden, and even room for recreation areas such as a tennis court, foot ball pitch etc..whatever you need! The house has a kidney shaped swimming pool with great outside bar / BBQ area. Plenty of parking too and all the land is fenced so very safe for pets and children. Th owner has also extended the property to create a great sitting room / conservatory with double doors to a covered sitting area by the pool. Inside there is a lovely kitchen / dining room with fireplace and a 2nd sitting room. There is a large utility room on this level with wc too. Upstairs there are 4 bedrooms - 2 have their own bathrooms - and the other 2 share a bathroom with access from each bedroom. 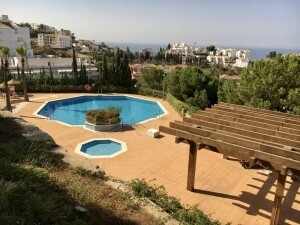 This property is perfect for a family and would make a great holiday home too. One important thing is access. 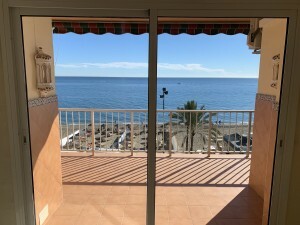 Its along a short tarmac and concrete road which is just a few mins drive off the main motorway so Granada is just 15 mins and Malaga just under an hour. 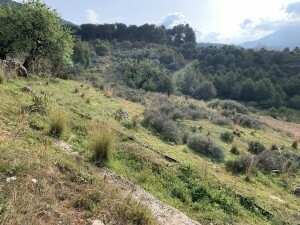 The views are great as the house is set up on the hillside, with the local village not far too. Has to be seen to appreciate what it offers now and the potential too.